As viewers increasingly consume live online content, one of the primary complaints with watching live sports and other realtime events is the delay between live events and online streams. Live online viewing is typically delayed 30 seconds or more from the broadcast. This can lead to a major spoiler alert where viewers learn about an important play from social media before they see it online. Limelight was honoured to receive the 2018 IABM BaM™ Award in the Publish category at the IBC Conference in Amsterdam for its solution to this problem. 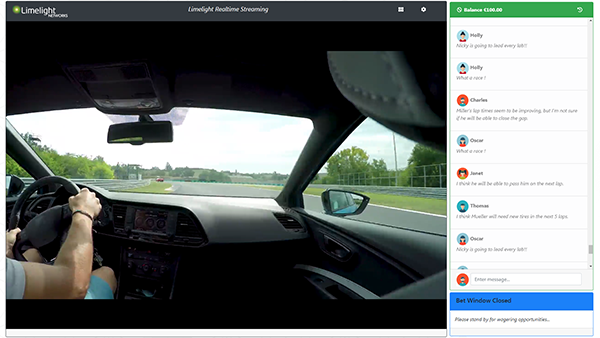 The new Limelight Realtime Streaming solution allows broadcasters to ensure online viewers enjoy the same realtime viewing experience as broadcast viewers. The internet wasn’t designed for streaming live video. Unlike a traditional live broadcast signal path where latencies can be easily minimised, HTTP streaming formats such as MPEG-DASH and HLS break the video into small segments or chunks that must be buffered prior to playback, resulting in streaming delays. 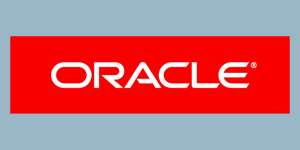 To provide viewers with the best possible online viewing experiences, the industry needed a new realtime streaming solution that is able to support live global broadcast-quality, sub-second streaming on standard web browsers without special plug-ins. To address this challenge, Limelight developed an innovative solution that provides sub-second live video streaming to viewers, wherever they are located. 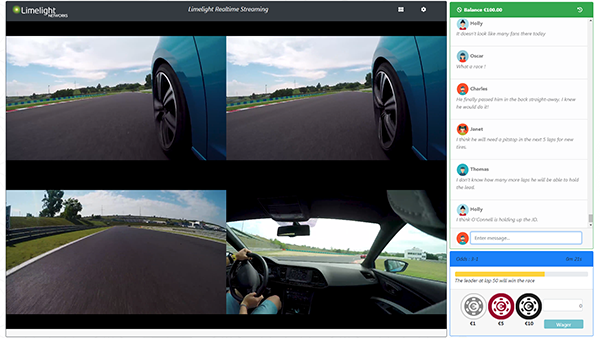 Limelight Realtime Streaming utilizes the open and scalable industry-standard WebRTC technology to deliver reliable, broadcast-quality, realtime video streaming using the UDP data transfer protocol. WebRTC is natively supported on all major browsers, making it easy for viewers to enjoy realtime streaming without the need for special plug-ins. Limelight Realtime Streaming provides all the tools and capabilities broadcasters need to ensure efficient and reliable operation during critical live events, including adaptive bitrate streaming for the highest possible picture quality to each viewer; redundant ingest capability with seamless failover; integrated content security including geolocation blocking to stop unauthorized viewing; and robust analytics to help understand viewer behaviour and improve content monetization. In addition to sub-second live delivery, Limelight Realtime Streaming lets content distributors create innovative live interactive global online experiences that were not previously possible. For example, sports fans can receive realtime statistics about a match or their favourite players and even vote for the player of the match, wager on who will score the next goal, or choose which camera angle they would like to view – right from their computer or mobile device. With this new solution, broadcasters and content distributors now have additional opportunities to monetize live video content by offering value-added experiences that were not previously possible. Limelight works closely with major broadcasters and content distributors to understand the challenges they face with online content delivery, and reducing online latency had become a priority for many of them. Limelight is honoured to have received a 2018 IABM BaM™ Award for Limelight Realtime Streaming and is proud to promote this recognition from IABM because it validates our commitment to delivering a solution that addresses one of the most important needs of the broadcast industry.